Vatel Restaurant was named after the great seventeenth century chef, Francois Vatel. On 24 April, 1671, after his consignment of fish had not arrived for the banquet planned for King Louis XIV at Chantilly Palace, Vatel took his life with three stabs from his sword. Tragically for Vatel, dishonour at the table of the King of France was more than he could endure. Vatel Restaurant hopes to capture the passion that embodied Vatel’s cooking and his love of entertaining and wish all our diners a dining experience par excellence. 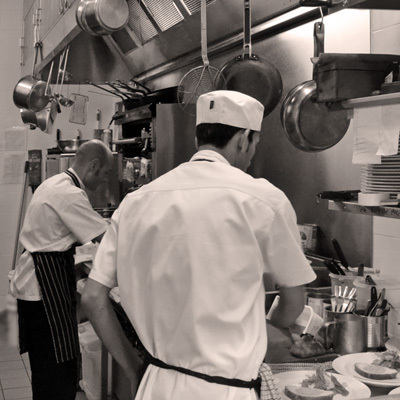 Chef Philippe Pinson has been working in hospitality since the age of fifteen. 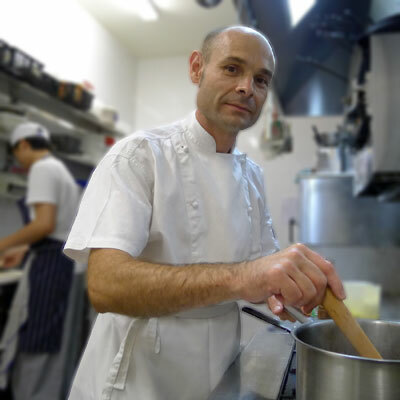 Trained in the Loire region of France and having worked in gastronomic restaurants in Angers, Nantes and Normandy, Philippe crossed the Channel in 1989 to work at the Mooreside Hotel in the UK. Three years later, Philippe migrated to Australia where he began working in Maurice Guillouet’s kitchen brigade at the Nikko Hotel, Potts Point. This training led him to other renowned kitchens including working as Guillaume Brahimi’s Sous Chef at Quay and Bennelong. In 2002, Philippe became the Head Chef at the launch of the Republic Hotel in Pitt Street. In 2004, Philippe set out on his own, opening his own restaurant, Vatel in Russell Lea. This has been the most inspirational adventure Philippe has taken on. 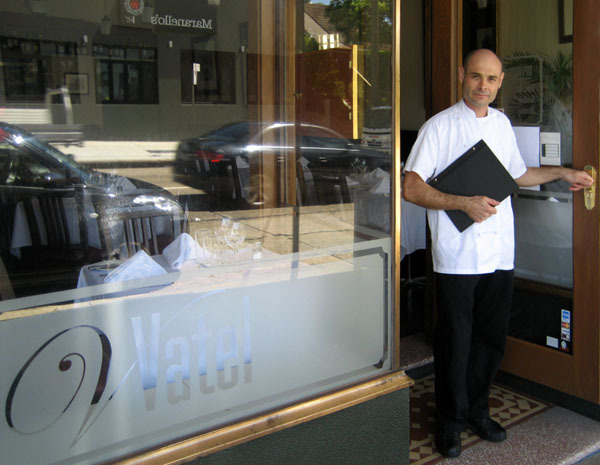 In 2010, Vatel restaurant relocated to his present site in Drummoyne at 188 Lyons Road. Philippe’s cooking remains classically French using conventional methods of gastronomic cooking. These days, he also incorporates new and innovative cooking methods, including low temperature cooking and sous vide. Philippe has surrounded himself with suppliers he trusts to provide quality and consistent products. And for the herbs? His Italian father-in-law grows them in his backyard… totally organic! Philippe welcomes you to Vatel Restaurant and wishes you a Vatel dining experience par excellence. Bon appétit!